Lots more in the hopper. Bye for now. Yeah, tropical local fruit on a tropical island is probably as good as it gets!! Thumper is adorable, i can see the appeal of the pineapple for rubbing on as a cat. I actually found a vegan carribean cafe about 15min walk from my apt- but it was lackluster with really expensive smoothies ($10?? In harlem for non organic 12oz?) and a ho-hum selection of steam tray stuff that was also pricey. (plain steamed red rice, plain steamed kale, lentils). Your places look WAY better!! I have Coconut Oil but I dont keep it in the fridge. I thought I wasnt supposed to? That Caribbean place does sound completely lame. Why even bother when you can go to Whole Foods for all that stuff AND its organic. Wonder how they stay in business? Hope you had some good biking and brunching this weekend. That papaya looks perfect! 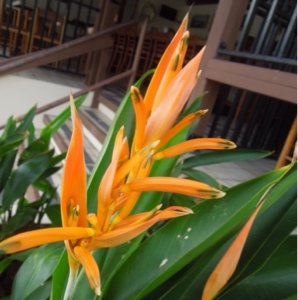 I can only imagine how amazing the tropical fruit is there! 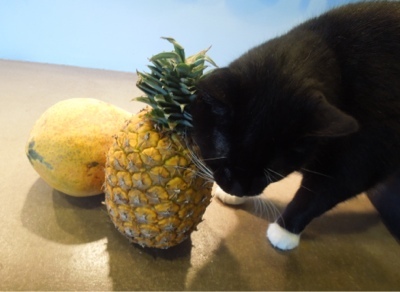 One of my cats loves to chew on the tops of pineapple! Another one loves to groom herself on the top too. Cats. 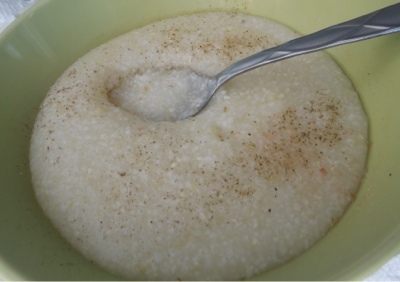 I've never had plain grits before. I don't even know if I've ever had grits! I guess I need to fix that. I never knew Pineapples were so feline friendly. I will need to buy more just for Thumper. That papaya looks deliciously ripe, if the ones in Canada weren't such a disappointment I would buy one today! Thumper must feel so good raking pineapple leaves (?) through fur. I'm pretty sure I've never had grits. I am not too familiar with Cananadian produce. Beer and Maple Syrup should be good up there. If you're gonna have Grits, have good ones. 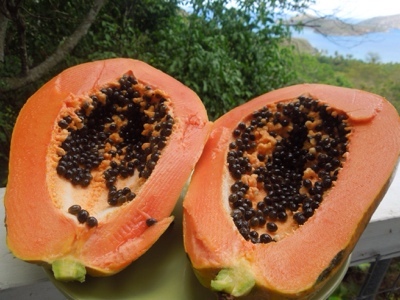 I echo the above sentiments about the papaya - you are so lucky to have fresh ones so close! "Jim Dandy" makes me feel like this island might have traveled through time, like Lost, and picked up some 1960s brands! Ha ha! But the grits look great! Do it - buy the Earth Balance, but wait for it to be on sale. 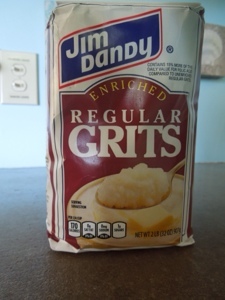 I can honestly say the Grits were Jim Dandy. Certainly better than those lousy Quaker Oats ones I tried to make. OMG...I've been away from the blogs waaaay too long! So, you've moved to paradise! Nice one Shen! It looks like tropical fruit heaven. Yay for me! i finally starting living my life. Wish I had that bravery to do it many years ago. Oh my goodness look at Thumper!! That was too darn cute!! 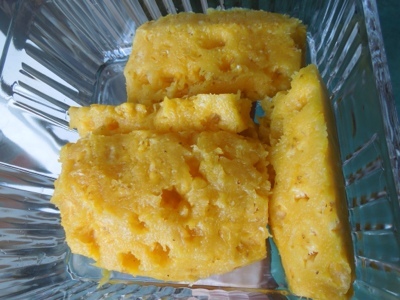 Nothing beats a really great pineapple… who knew it had multiple uses!! 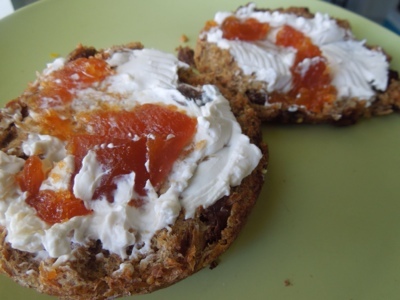 I just got apricot jam from a farmer's market and I'm going to have to try it on an Ezekiel English muffin with Tofutti! Yours looks so good!